KoTiX -Tech & Mods: June 2016 Skinpack: Android MirrorLink Function for S100! June 2016 Skinpack: Android MirrorLink Function for S100! Here is a new nice addon for all S100 users: MIRRORLINK!! What it does? You can look at your phone and control it directly from the S100 display just connecting it to the S100 USB cable. 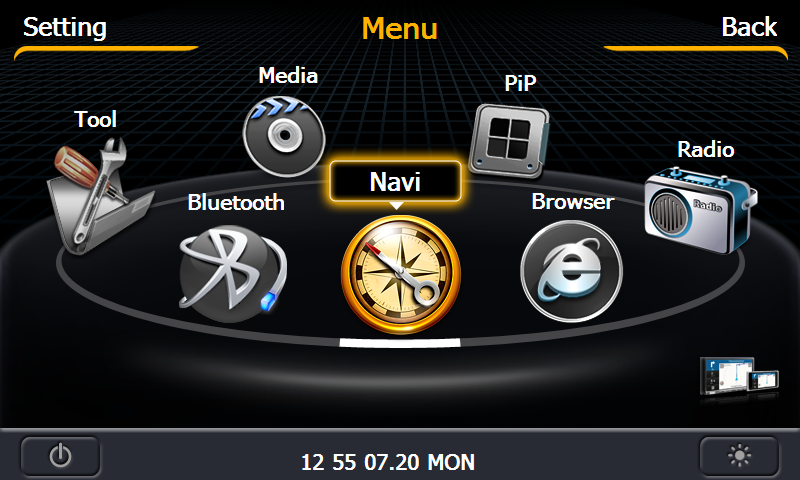 To have this function you need a recent firmware (1.0.11 or newer) and my latest skinmanger. From the Customization section of skinmanager you can enable and disable the mirrorlink function everytime you need. Some bugs has been fixed and other improvements has been made here and there. 17.05.2016 - (WinCE) windows are replaced with their skinned replicas ( v5.2) Customization screen in main GUI is a little bit face lifted. New process sound added. 14.05.2016 - Save logs option removed from settings. It proved itself useless. The update is available in my gdrive for all people who already bought my previous skinpacks. Files are still uploading, you'll find it there tomorrow. Hi KoTiX, it's very impressive to see all the development you make for the S100 unit. We should the USB cable or can we use the cable dedicated to internet (which is also a USB cable) ? News to it work on s100 with Android SO? Tks. Good job! I just tried to connect my Nexus5, but the process is stuck on "Connecting..."
USB debugging is enabled in my settings. Any idea ? Thanks a lot. It depend also on android version. If you are on android 6 maybe it won't work. I'm on android 4.4.4 kitkat. Later I will retry if I update my phone to a more recent version of android. Downloaded and updated and the mirror link is an awesome feature on my S100! Commit a dedicated Android phone and use bluetooth for audio and it's nearly as good as a full android conversion. Awesome work Kotix and thank you! i tried with galaxy s5 kitkak 4.4.2 - lollipop 5.1.1 and android 6.0.1 and it doesn t work...mirrorlink stucks on connecting. Any ideas??? which firmware on your s100? Is f/w 1.10.9 too old for this? Mirroring works perfect on the S100. Thanks Kotix for the great work. Allways very good work, i can´t put it this week because i have my car repairing but this mirrorlink support audio? if i put come music on my telephone y can ear it on my radio like the mirrorscreen on smart tv? Connect my LGG2 on 5.02 with debug mode enabled but it doesnt respond on MTP mode. When changing to PTP it tries to connect but never succeeds. Any idea whats going on? Might be because of this, damn! Proprietary software evidently and any phone that uses it needs to be licensed, thats why there are only a small number of phones at this stage. This is not a google(android)feature unfortunately and is manufacture and phone specific. Is included the new skin 2 Android with this version of the skinmanager? No, the new androidauto skin will be sold separately. Hello Kotix, I've bought the 6 skins package but I haven't got the info tags for bluetooth. the sw is the v1.22 for C001. Is it possible to install it? Thanks, your work is great! Info tags for bluetooth depend on the type of motherboard you have. Old type without DSP sound chip have old bluetooth module so no infotags. Hi, no mirrorlink with marshmallow. I have re-flashed and tried the following combinations in my NoteII; CyanogenMod12 (Android 5.1.1), Validus-LP (5.1.1), Orion (5.1.1) as well as OctOS (6.0.1), Resurrection Remix (6.0.1) and CyanogenMod13 (Android 6.0.1). All of the Android 5.1.1 ROMs behave the same as the 6.0.1. ROMSs. The phone first asks for permission to allow Android debugging on connection to the S100 and then the phone restarts leaving the S100 in the 'Connecting' state. I have not tried converting my Note2 back to stock Sumsung 4.4.2 which I am trying to avoid. Any other suggestions please? Kotix, when we will have the skin Android Auto? I think that before the end of July it will be ready. how can i get aces to the update of skinmaneger? I've bought it when the carplay skin was relesed. Please send me an email telling me the email you used for paying. It is compatible with mirrorlink ok? I did the update to the skinmanager 5.2 and the icon in the screen not apear. ok, Update done, now version 1.2.11.0, the last one. Mirrorlink work at the firt time when i turn it on, but using the icon on screen, it opens the bluetooth...do you have a solution? Uhm..no. It's first time I hear this problem. Which model you have? Cxxx? I have C132 Honda Civic. The ones who mirrored successfully; does it auto reconnects to the phone on boot or has to be done manually each time? It is working with HTC One M9 Android 6.0 Marshmallow. Just delete HTC Mirrorlink (updates). Works with HTC One m7. It is a pity that it is so slow. Hi Kotix! I have installed mirrorlink on AppleCar skin, but I have a problem. The mirrorlink icon appers but if I click on them the radio goes to bluetooth menu and don't do nothing, if I open SKinManager and close It automaticaly Mirrorlink appers on the screen and all works well. But from the icon is impossible. Thanks in advice and good work. Hi Kotix! I have installed mirrorlink on S100, but I have a problem. The mirrorlink icon appers but if I click on them the radio goes to bluetooth menu and don't do nothing, if I open SKinManager and close It automaticaly Mirrorlink appers on the screen and all works well. But from the icon is impossible. Whats the problem? Some information about the problem? I'm on vaction until the end of august. In September I'll add a different mirrorlink app. Anyway fw 1.2.11 seem to work better for mirrorlink. Hi Kotix, tanks for reply, i waiting for a solution for the problem. Ciao kotix, I'm a fan of your work, thanks for all the work you have put in. 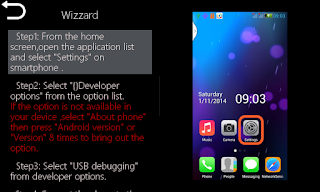 I have recently updated my s100 with your updated skin pack, my reason was to use the mirrorlink. The mirrorlink starts fine but crashes on the moment I want to use landscape mode. I'm using an huawei Nexus p6 with android 7.0 (latest). Are you familiar with this problem and/or do you have a solution ? Next week I'll upload a new version with a new mirrorlink app. Can you provide downlod link for S160 m012-1 mazda 6gh? 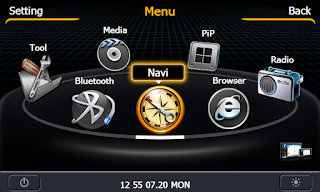 Get it on roadnav.com forum from the firmware section. Hey, does anyone have success with Android 7 and mirrorlink? My firmware is 1.3.11.0. It will work with mirror?